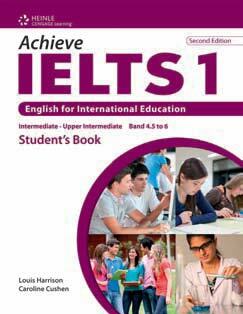 Achieve IELTS is written by experienced IELTS teachers and examiners and offers a unique approach to preparing students for the IELTS examination. It is a two-level, student-centred course that not only prepares students for the test but also for academic life after IELTS. This popular IELTS preparation course has been completely revised. The Student’s and Teacher’s Books have been redesigned. The Student’s Books have new and updated listening and reading texts, and almost all of the photographs, charts and graphs have been replaced.